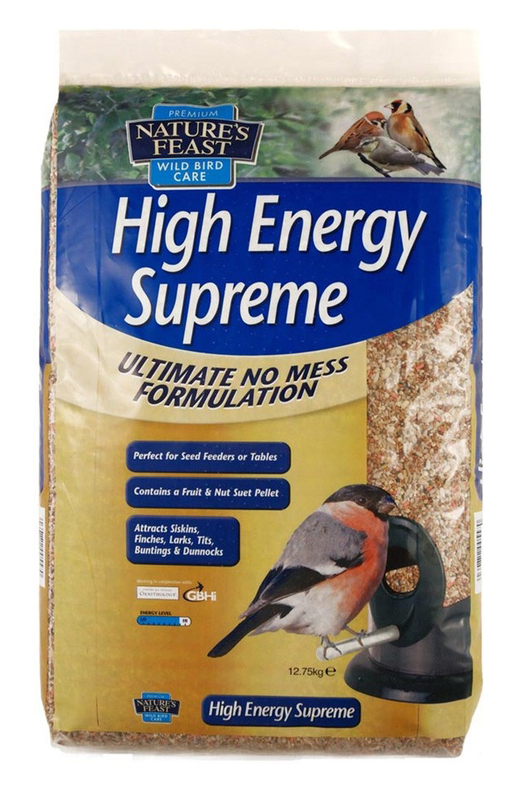 Nature's Feast High Energy Supreme is a premium no mess wild bird food containing a balanced mix of quality energy rich ingredients. Attracts a wide variety of wild birds to your garden whilst offering high energy nutritious food. There are currently no questions for Nature's Feast High Energy Supreme Bird Food - be the first to ask one!